1. Heat mustard oil in kadai or non stick pan. Saute potato and remove from pan. Saute all the vegetables for 1-2 min to maintain the crispness. 2. Add Maggi , break into 2 parts to get long strands. Add Maggi masala and boiling water. 3. Cover the kadai and cook for 2 minutes. 4. 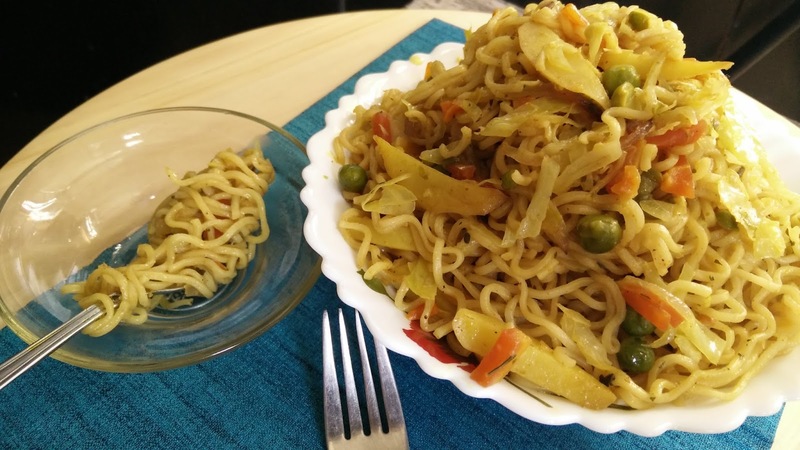 Hot steaming vegetable Maggi is ready to serve.